Note the thumb and fingertips left for scale. Habitat - Disturbed sites, cultivated fields, waste ground. Other information - This little species can be found in scattered counties in Alabama and is probably more common than is reported. 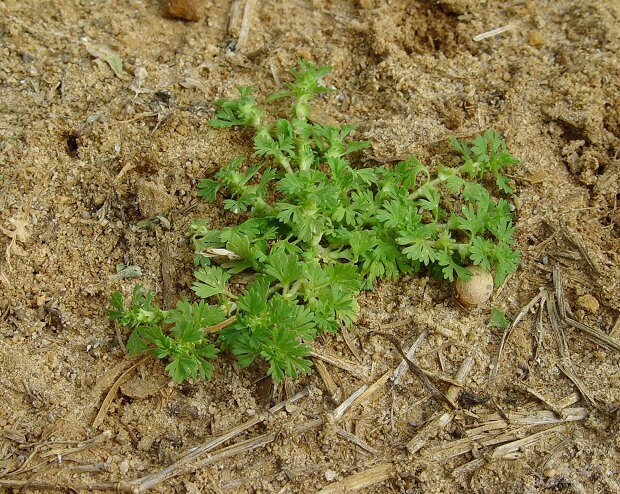 It is a common weed in cultivated fields but often overlooked because of its small size and short growing season. The plant is usually dried and gone by mid April. 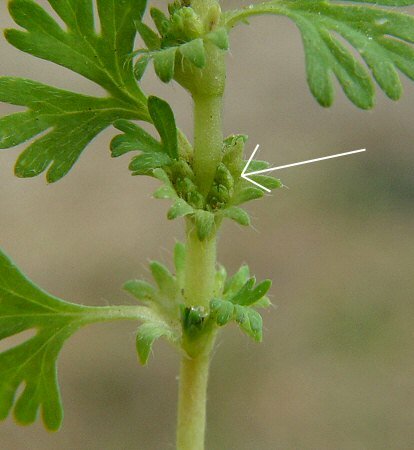 The plant can be identified by its small size, repent stems, divided leaves, and minute flowers. 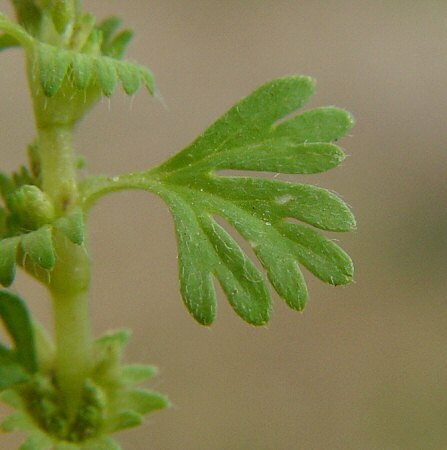 Although the plant is in the rose family, it doesn't resemble any other plant in that family. 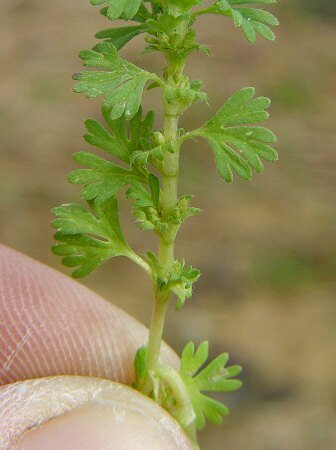 The genus name Aphanes derives from the Greek "aphan(es)" meaning "unseen, invisible" referring to the small size of the plant and its flowers. The species epithet microcarpa derives from the Greek "micr(o)" meaning "small" and "carp" meaning "a fruit" again referring to the minute flowers and fruits of the plant. Photographs taken in Auburn, AL., 2-19-05.